A group of Azerbaijani parliamentarians paid an official three-day visit to Israel to mull the bilateral bonds between the two countries. 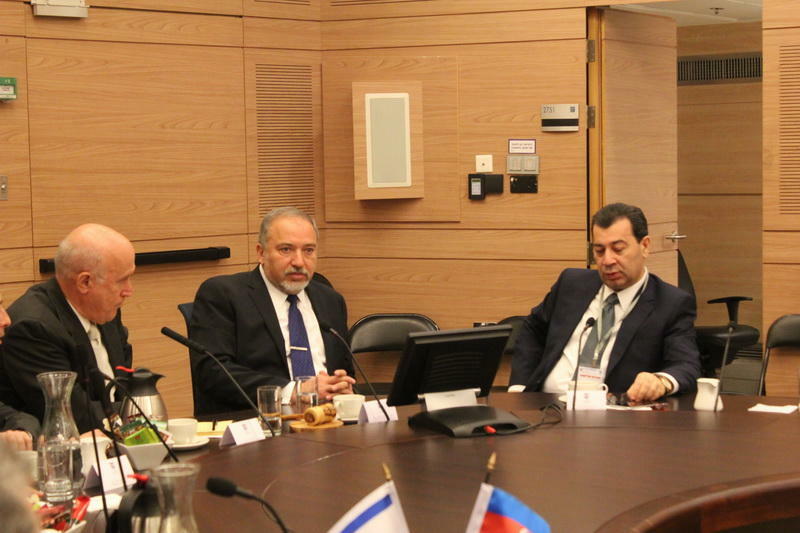 The delegation, which included MPs Samad Seyidov, Asim Mollazade, Yevda Abramov, Sevinj Fataliyeva and head of the Israeli Center in Baku Emilia Khudiyeva, visited the Israeli Knesset on February 10. They held a meeting with Chairman of Israel-Azerbaijan inter-parliamentary friendship group Avigdor Lieberman, who made a number of proposals to develop relations between Israel and Azerbaijan. Lieberman also offered to involve non-governmental organizations in their efforts to contribute to the strengthening of the bilateral ties. This year’s trip of Azerbaijani MPs is the first official visit of members of Azerbaijan’s Parliament to the Knesset in the history of the two countries` relations. The Azerbaijani and Jewish peoples have a long tradition of tolerance and interaction. Estimated 9,000 Jews in the country are "fully part" of Azerbaijani society. Israel recognized the independence of the Republic of Azerbaijan very shortly after the official dissolution of the Soviet Union. Diplomatic relations between Azerbaijan and Israel were established in April 1992. The strategic relationship included cooperation in trade and security matters, cultural and educational exchanges.